Every year, there comes a day that is perfectly poised between summer and autumn. Today was the day. 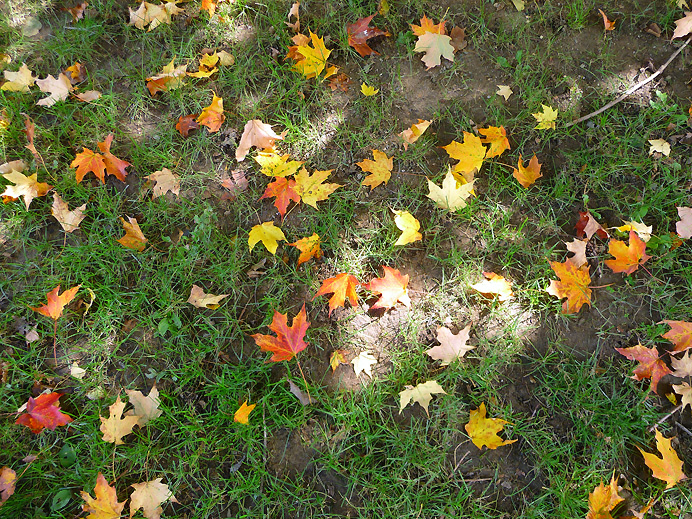 I found these leaves in the sun-dappled shade of the maple pictured here on September 15, 16, and 17. After stopping to snap the picture, I resumed my walk, feeling I had stepped through a doorway into fall. .